Adjusting to life with a new baby is tough enough for Hannah, then throw in a town being overtaken by vampires… and things get deadly. Especially when the vampires target bitten Lycans like Hannah and new recruit Miranda. As a bitten Lycan, Miranda will have nowhere to go if she’s kicked out of the program. Which makes her inappropriate attraction to instructor, Ryder, stupid and dangerous. Fortunately, he’s made it clear half-breeds are beneath him. Miranda’s opinion of the arrogant Lycan is worse. So why can’t they stay away from each other? Why does his touch make both her human and wolf side, burn with need? Just when Miranda believes she’s found her own pack at the training facility, her forbidden affair with Ryder heats up, threatening her new-found stability. 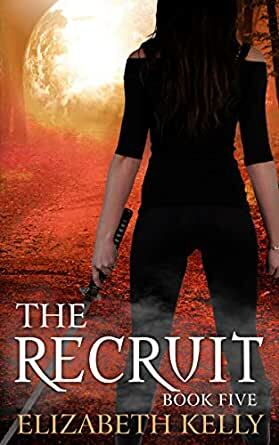 And with a traitor in the recruit program, lives are on the line and Hannah must risk everything to save them. Author's Note: These books are NOT stand-alones. You MUST read Books1-4 before reading this one. 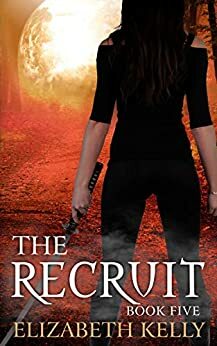 5.0 out of 5 starsI've been captivated by this series from The Recruit Book 1. How do these stories just keep getting better? I have lost sleep while reading this book, and by going back to reread the 4 that came before it. I don't even care that Elizabeth Kelly takes so long to finish the next one in the series, they are all so over the top chock full of fantastic writing that the wait is understandable. Perfection takes time. The story overall is so densely packed with all the elements of the best things that make a story great, that you can't just pick out like one thing that stands out as the ultimate pinnacular, extremely best part. I love that she infuses wit, snark and attitude in all of her books, but this one seems to have more, or maybe the same amount but just seems like more because it balances out the violence. The scene where Miranda stabs Ryder in the thigh, for instance, her reactions made me laugh while he seemed to be bleeding out. The series should be made into a movie to be honest. It has compelling characters who evolve through the series, gripping action scenes, important people die! This one exposes a riveting betrayal from the inside of the training facility and ohmygosh, the prejudice that exists (Lycan purists!) in this literary world mirrors the real one! If I had to be stranded in an airport for a few days, (yeah, not a desert island, I need amenities) I'd want a quiet piece of floor and this book series to read, and then I'd make the rescuers wait to get me until I've read through each page of every book in this set. The rescue scene at the end is wonderfully violent and bloody, truly one of the best fight scenes I've read this year. 5.0 out of 5 starsWorth the wait! I absolutely loved this series. As soon as book 5 we released I couldn't put it down. I love the emotions and the sexual buildup. Each character is well developed. This is probably one of those series that could go on forever and I'd keep reading, just like a soap opera. Can't wait for the next one! 5.0 out of 5 starsCouldn't put it down till I'll was finished!! Had me hooked from the beginning. However since I've been waiting for this book for about a year and a half I'm not surprised. Elizabeth Kelly did it again, another fantastic book! !